So, I've made no secret of the fact that I both love superhero movies and the fact that I wish there were more women in them. I believe I have the answer to this problem. Bear with me here. The answer is...female protagonists! It's not like the comics universe is lacking for strong, awesome women who should totally have their own movies. In fact, if you look in the right places, comics are pretty much teeming with strong, awesome women who happen to be superheroes, and who could totally carry a franchise. First on my list, Oracle and her Birds of Prey. Oracle, or Barbara Gordon as she's legally called, is a pretty awesome figure in the Batman universe. She's not just Commissioner Gordon's daughter, she's also a crimefighter in her own right. As a teenager, she was obsessed with Batman, and decided to take up the cape and cowl as Batgirl. She was a really good Batgirl. For a lengthy period, she fought crime alongside Batman, became a certified librarian, and was eventually elected to Congress. Yeah, that Congress. But in the story "The Killing Joke", Joker targeted her father, and in an effort to break Commissioner Daddy's spirit, he shot Barbara. The comic left her there, on the floor, bleeding, and went on to deal with the men-plot. Barbara was paralyzed, and could no longer be Batgirl. Barbara Gordon was not about to give up, however. Instead she became Oracle. 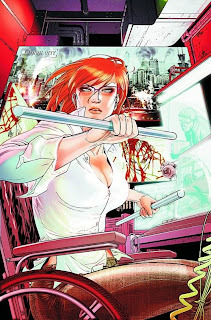 From her apartment, she set up a hacking and information brokering network that spanned all of Gotham, and was used by pretty much every superhero in the city. She was awesome. She also decided to run her own team, the Birds of Prey. 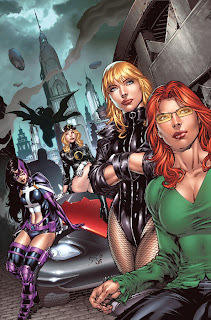 An all female superhero team, they consisted of Black Canary, Big Barda, Huntress, Lady Blackhawk, and others. Oracle gave them the information, they went in and did the damage. So make it a movie! Barbara Gordon is clearly the star, and the story picks up just as she's starting the Birds of Prey. Barbara's getting used to fighting with only half her body, while Black Canary chafes at being told what to do by an anonymous voice, but together they have to work to take down an evil crime syndicate. You get the idea. All ladies, all the time, with established characters that have a strong following. 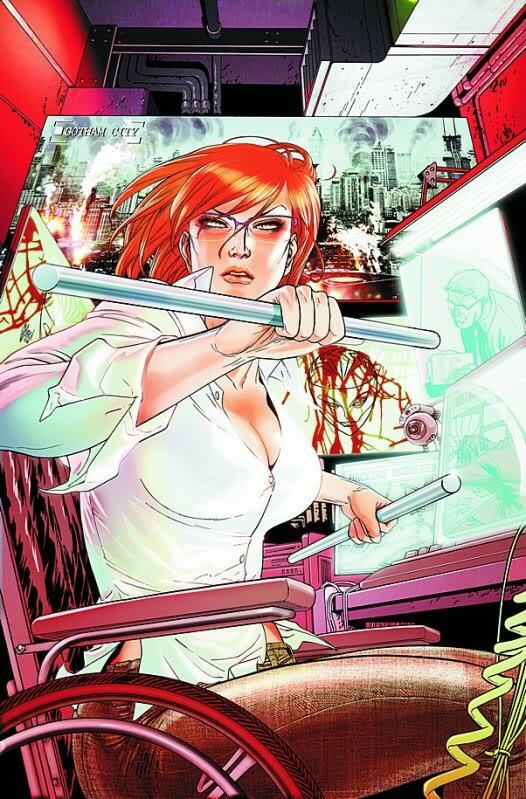 Reasons it works: Sure, it's not super interesting to watch someone hack for two hours, but Barbara Gordon's always got something extra going on, and her surveillance could lead to some sticky side plots. Black Canary is a little unstable, but her actiony sequences and constant questioning of Oracle's leadership and identity could add tension and drama to the plot. That doesn't have to be the only plot possibility, either! 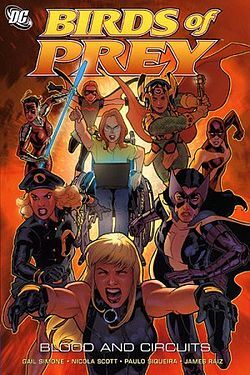 Using the basic structure of the group, and expanding to allow other members, since the Birds of Prey had a pretty fluctuating membership, you could draw on lots of different stories and characters in order to create compelling plots and cool movies that always address real issues and always pass the Bechdel Test. Or we could watch another Green Lantern movie. I'm just saying. I mean, really. Who doesn't want this to be a movie?